The Chinese Domestic Agency reports the successful arrival in France of two batches of components for the pulsed power electrical network (PPEN). 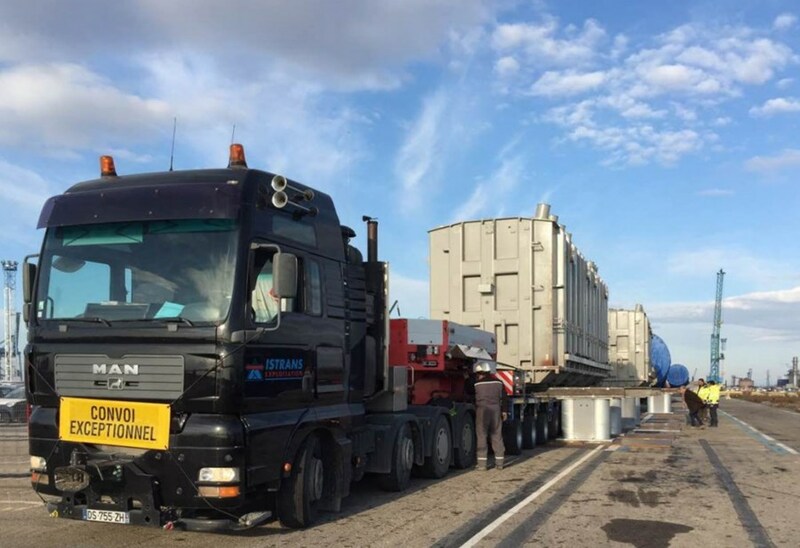 The first massive transformers (15 metres tall, 460 tonnes when completely fitted out) arrived at ITER in June 2016. The remaining two were discharged in Fos-sur-Mer on 18 January and will soon be delivered to the ITER site. In addition to the steady state electrical network (SSEN) that will supply the electricity needed to operate the plant and office buildings, ITER will operate a pulsed power system (PPEN) to provide large amounts of power to the superconducting magnet coils and the heating and current drive systems during plasma pulses. China is supplying 100 percent of the pulsed power electrical network. The Chinese contractor Baoding Tianwei Baobian Electric Co Ltd has manufactured three massive transformers (15 metres tall, 460 tonnes when completely fitted out). The first arrived at ITER in June 2016 and was transferred to its permanent location on the construction platform; two others were shipped in January. The transformers travelled with two E-houses (manufactured by CSG Smart Science & Technology Co Ltd) and 106 packages containing accessories. The components were discharged in the French port of Fos-sur-Mer on 18 January. The E-houses have been safely delivered to ITER; as for the large transformers, they are scheduled to arrive along the ITER Itinerary in March.